With colder days on us, a craving for holiday and sugary food may have hit you as well. To not feel too bad about eating this kind of treat, I’ve used these wintery spices to make trail bars. 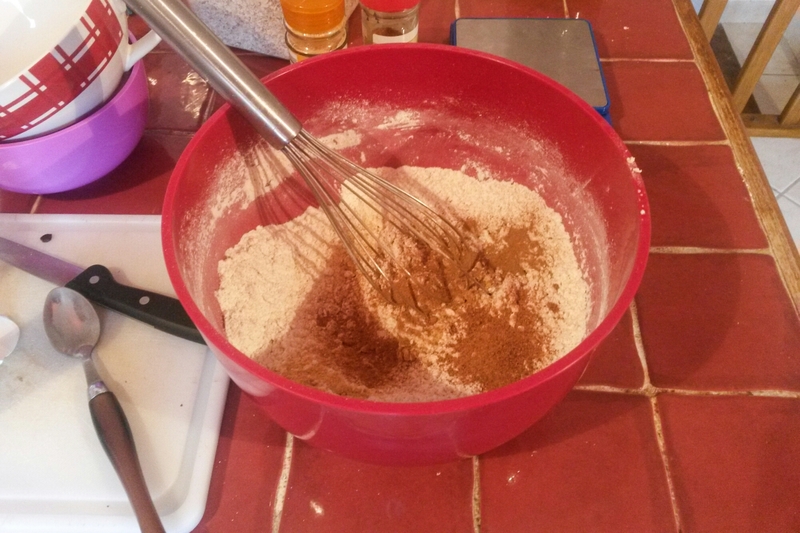 In a large ball, mix flour, otameal, baking powder, sugar and spices. Add the dried fruits if you chose to have them. In a saucepan, heat up the honey. Stop when it starts to bubble. Pour the honey into the dry ingredients mix and stir vigourously until well combined. Heat up the rice milk with vanilla extract until warm and set aside for a minute. Add the 2 eggs to the mix and stir well. Then pour the vanilla rice milk into the mix and keep stirring until you have a smooth dough. Line a cake tray with baking paper and pour the dough in. Bake for 1 hour. 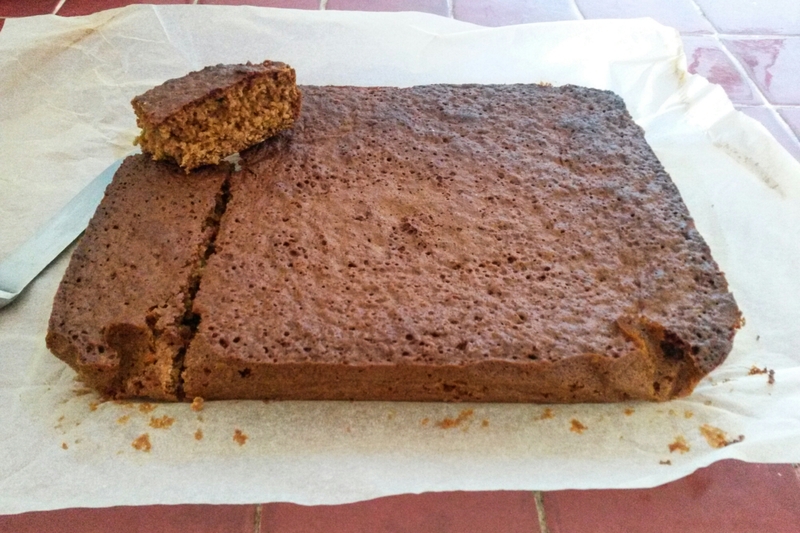 Mix the baking paper, it is super easy to get the cake out of the tray and cut it into bars.